The 2018 NAIOP Raleigh-Durham Bus Tour is in full swing! We’re thrilled to be aboard! 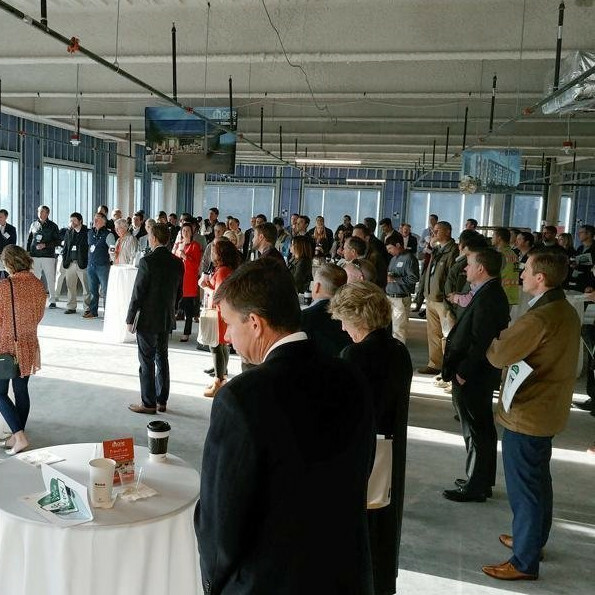 The NAIOP bus tour is an all-day event that highlights our region’s growth and development here in the Triangle and it sells out year after year. There are four packed charter buses this year! NAIOP, the Commercial Real Estate Development Association, is the leading organization for developers, owners, and investors of office, industrial, retail and mixed-use real estate. NAIOP comprises 19,000+ members and provides strong advocacy, education, and business opportunities through a powerful North American network. The Raleigh Durham chapter was chartered in 1980 by a group of local developers. The Research Triangle Chapter is actually one of the largest in the entire nation. We love attending this annual event and networking with fellow professionals interested in nurturing the growth and development of our Research Triangle.